Saving Tomato Seed is Easy! To read more about tomatoes, click here. 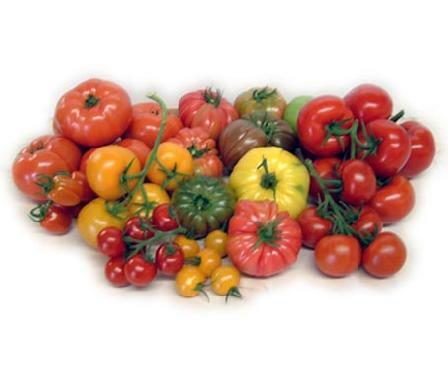 Soon, tomatoes will be everywhere….spilling out of everyone’s garden. Enjoy them while you can. Few things are as enjoyable as a fresh, home-grown tomato. If you find you have too many, you can freeze them whole, can them, or save the seeds to try next year. 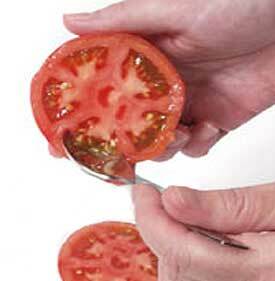 If you have heirloom seeds, they will re-grow true. If you have a hybrid….good luck…let us know what you get! Scoop/squeeze the seeds into a clean glass, bowl or jar. 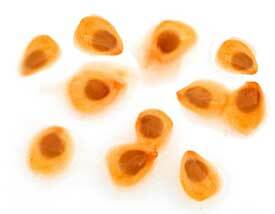 To save the seeds you need to ferment the seeds to remove the seed gel that sticks to them and inhibits germination. To start separating the seeds from the gel/pulp, add a little water and shake the jar to free the seeds. Now this is the easy part…cover the container and just set the whole thing aside for 3-7 days to allow fermentation to take place. You will know that fermentation is taking place because the water gets cloudy and a little layer of mold may begin to form on the surface. Once fermentation has started, it is time to rinse the seeds. Don’t leave the seeds fermenting past this stage or they may begin to germinate. Dispose of any mold that may have formed on the top and wash it off allowing the seeds to settle to the bottom of the jar. 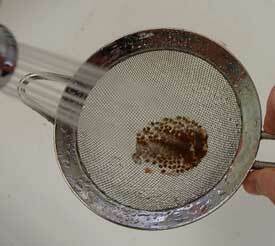 Wash the seeds off by placing them in a strainer and rinsing them under running water. Try to remove any remaining pulp bits. 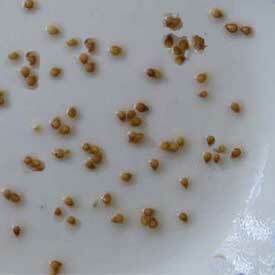 Spread the seeds onto either a paper plate or glass dish to dry. Don’t use paper towels because the seeds stick to the fibers in the towel and may be difficult to remove. Set the seeds in a warm, dry spot and allow them to dry out completely. Shake the seeds each day to make sure they don’t clump and that they dry evenly. When the seeds are thoroughly dry, store them in a cool, dry place. Our first choice is to store the seeds in an airtight container. Second choice is in an envelope. (If you choose an envelope, you can still store the envelope inside a container. Don’t forget to label and date your seeds. some seeds for next year. When summer winds down, the tomato crop is at its peak and we usually have more tomatoes than we can use. If you store those tasty tomatoes right now, you can enjoy their homestyle goodness all year. You can them or just clean them and toss them into the freezer in plastic bags. 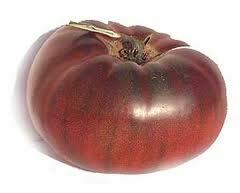 You will then have tomatoes all year for sauce, soups, stews, whatever.